While Chennai was getting inundated with record levels of rainfall that were flooding roads and disrupting normal life, Twitter was being its own cheeky self. A joke started on Twitter early today morning which had people imagining how great it would be if only there was an Ola Boat – play on the cab service – to ferry them to work. The meme grew quickly, and before long, lots of people were participating. All this while, this was a fun activity that allowed people to let off some steam while they were being inconvenienced with the rains. The Ola twitter account too had been watching from the sidelines, occasionally getting in on the joke as well. But then the company decided to step things up a notch. 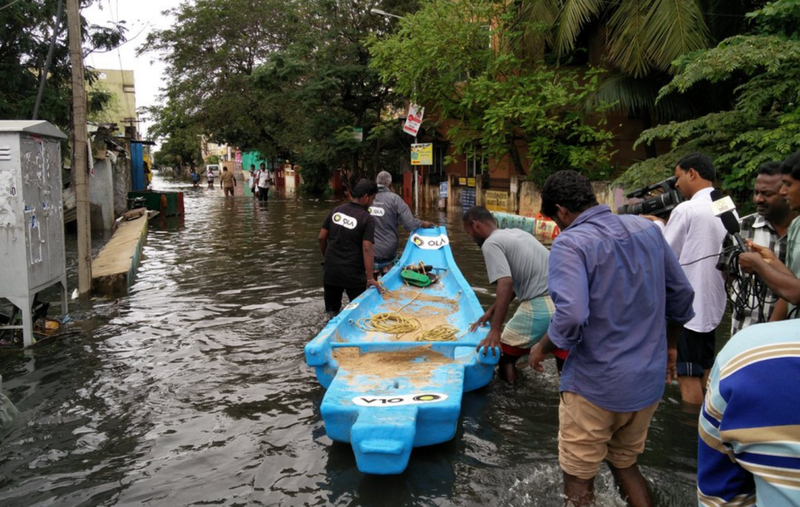 Within a few hours of the trend, quite incredibly, Ola managed to deploy actual boats that were helping people who were stranded. 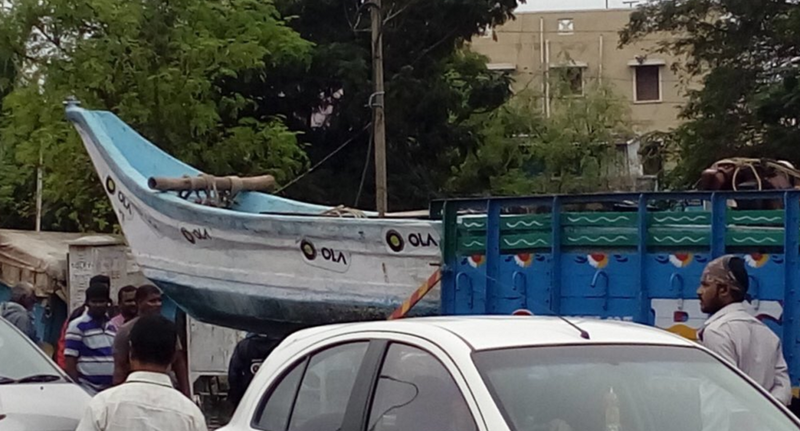 Ola hired local boats, attached some Ola stickers on them, and got their staff to help out people who might’ve needed assistance. The staff too, were decked in Ola T shirts, and were helping bystanders for free. OlaBoats would ferry people and supplies to the stranded, and both the services are being offered for free. This obviously immediately went viral, and generated the company a lot of goodwill online. As of 3:35 pm, Ola Boat is already trending on twitter. Ola’s managed to generate a flood (heh) of publicity, all while helping a city in need. This is the stuff marketing case studies are made of.